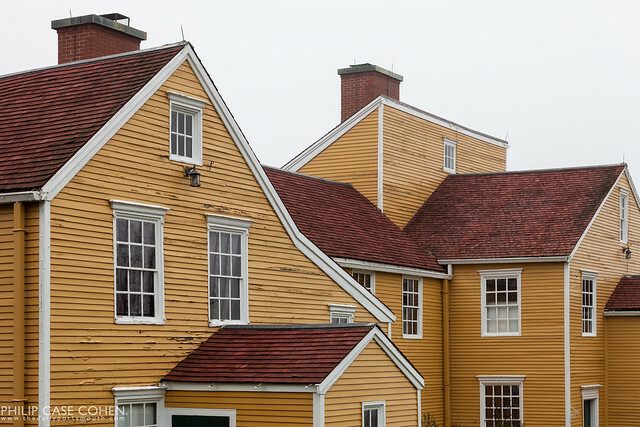 The rich yellow color of this historic home when paired with the red shingles on its roof make this icon one of the Seacoast’s most distinguishable along the Piscataqua River’s back channel. The Wentworth Coolidge Mansion belonged to the state’s first Royal Governor, who served in the mid 1700s. The rooflines help to tell the story of the additions and how large this home actually is. Really cool lines and colors in that roofline Phil! I like!